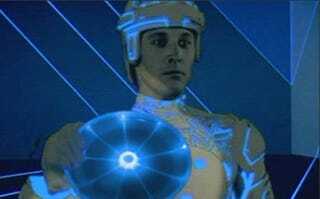 Director Joe Kosinski is already filming Tron 2, and he'll show audiences what he's come up with so far at this year's San Diego Comic-Con... But don't expect it to look like the finished movie. Joseph Kosinski is directing Tron 2, and last year he did amazingly well at [San Diego Comic-Con] where he showed that test and had 6000 people show up. This year, he's going to have a trailer, not of the entire film, but just what he's been shooting. He started shooting in April, and given his pedigree and what I know about the film and what I know about Joe—the film will be amazing. So he'll show that trailer there. Probably not what Tron fans at NYCC would have wanted to hear - but at least we now know when to expect to see some official virtual Jeff Bridges.